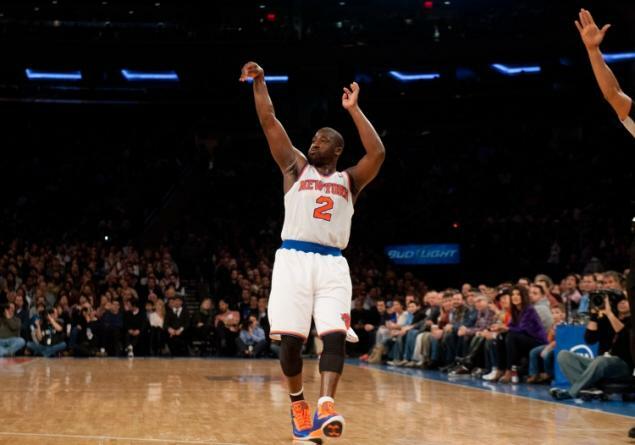 Knicks point guard Raymond Felton has reached a plea deal that will keep him out of prison after he was faced with weapons charges. Felton faced a maximum of 7 years in prison, but instead will be required to complete 500 hours of community service, pay a $5,000 fine, register as a gun offender, waive his right as a defendant to appeal the case, and plead guilty to at least one felony gun charge. Felton had a dreadful season both on and off the court, and the Knicks are reportedly looking to trade him. Regardless of where he plays next season, he will look to bounce back from what was without a question the low point of his career so far. This entry was posted in Articles and tagged felton guns, felton knicks, KNICKS, knicks blog, KNICKS MEMES, Knicks news, knicks rumors, nba news, raymond felton, raymond felton gun charges, raymond felton jail, raymond felton plea deal on June 23, 2014 by Tommy Rothman.